Domestic workers rally for ratification of ILO Convention 189 on February 21, 2018 on Parliament grounds. 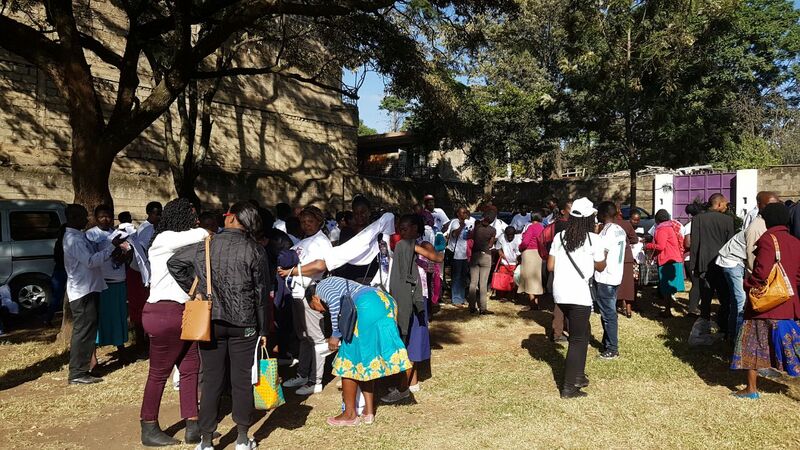 Hundreds of domestic workers rallied in front of the Kenya Parliament in Nairobi today, lobbying legislators to ratify International Labor Organization (ILO) Convention 189, Decent Work for Domestic Workers. 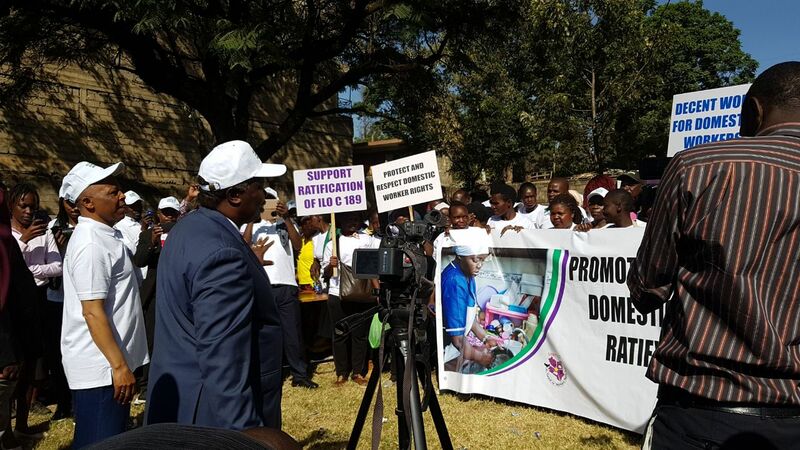 The effort is part of a larger campaign to improve wages and working conditions for the country’s domestic workers by the Kenya Union of Domestic, Hotel, Educational Institutions, Hospitals and Allied Workers (KUDHEIHA) as well as to help build momentum for a global movement for domestic workers. “It is amazing. 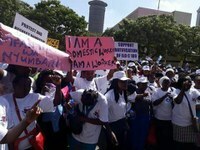 It shows [the] power of the domestic workers in Kenya,” said Africa Regional Coordinator for the International Domestic Workers Federation (IDWF), Vicky Kanyoka. Convention 189 established the first global standards for the more than 50 million domestic workers worldwide, addressing wages, working conditions, benefits, labor brokers and child labor. Although the convention went into force in 2013, it has been ratified by only 23 countries. Of these, only two African countries have ratified the convention: South Africa and Mauritius. Domestic workers are some of the world’s most vulnerable workers, comprising a significant part of the global workforce in informal employment. In Kenya, domestic workers have suffered pay below minimum wage, long working hours, physical abuse, discrimination and lack of job security. More recently, domestic workers migrating to jobs in the Middle East from the Mombasa area, in an effort to escape poverty wages at home, have been preyed upon by unscrupulous labor brokers and employers. KUDHEIHA—a Solidarity Center partner—has stepped up its political advocacy on behalf of domestic workers with the support of the Solidarity Center in recent years. Legislative changes favorable to domestic workers included an increase in their minimum wage in 2015 as well as an increase last year in the minimum wage from 10,955 to 12,825.72 Kenyan shillings ($108 to $126) per month. 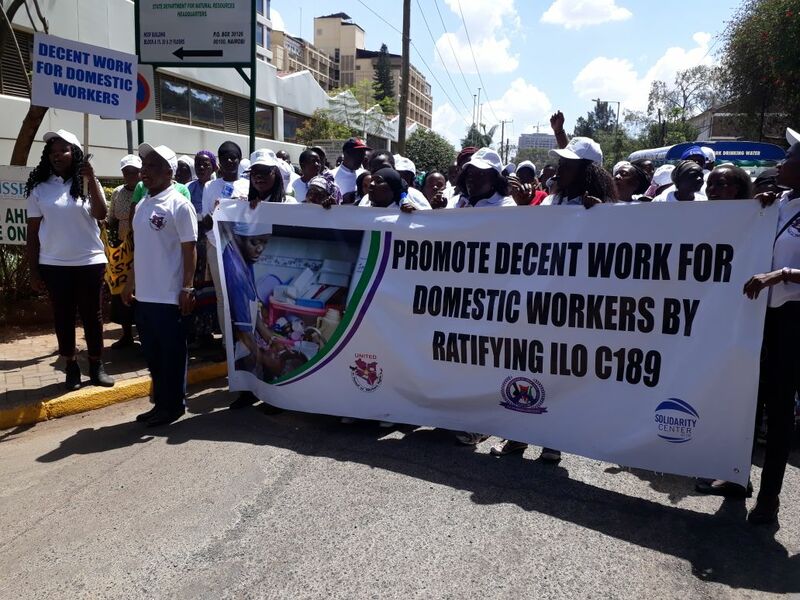 KUDHEIHA’s current push for government ratification of Convention 189 is an effort to secure additional recognition, rights and standards for Kenyan domestic workers working inside and outside the country. The Solidarity Center works with domestic workers and other organizations that represent them around the world, including in Cambodia, Costa Rica, Dominican Republic, El Salvador, Hong Kong, Indonesia, Jordan, Kenya, Liberia, Mexico, South Africa and Sri Lanka.